Oh, those idealistic good old days. Back when we truly believed that the global digital community would fact-check lies, make us smarter, and force our institutions to serve the greater good. It turns out that the social media utopia, like other utopias, didn’t end up as rosy as we’d hoped — mainly because it’s made of human beings. But the social web is still an extraordinary tool. The ability to instantly communicate with thousands of people isn’t to be scoffed at — if you can do it without losing your mind. I’ve been using social media since 1989. The remarkable thing for me isn’t what’s changed … it’s what’s stayed the same. Here are some of my survival tips from decades in the digital realm. Remember ant farms? These were glass cases filled with sand or gel, where you could watch ants building tunnels and carrying things back and forth. In grade school we all had that one mean friend who would shake it hard, just to destroy the tunnels and watch the ants scurrying around trying to fix the mess. Every one of those ant-shakers got a Facebook account when they grew up. Some people just crave chaos — and if they can’t find it, they create it. There’s always a storm brewing around them, some bitter flame war that pits half the community against the other half. It doesn’t seem to occur to them that the pain and anger they cause are real emotions attached to real people. Either they can’t see it or they don’t care. Keep an eye out for the ant-shakers. A lot of them are attracted to the web, and spend a disproportionate amount of time there. They’re at the center of endless dust-ups, and it may take you some time to realize they’re engineering them. Putting distance between yourself and the ant-shakers — even if (especially if) you’re related — will calm your social media experience down considerably. When we socialize over the web, we tend to reveal a lot. It can feel like a small, intimate space. After all, we’re sitting there on the sofa with our laptops, and we recognize those names that fly by, even if we might never have met them face to face. Every day, I see people starting a post with something like — “I’ve never told anyone this before, not even my family” — and they’re sharing in a Facebook group with four million members. Digital privacy depends on the goodwill of every person who has access to the material. Anyone can screenshot anything. Once they have, you have very little control over what they do with it. In the real world, that means that digital privacy is a complete illusion. If you aren’t willing to make it public, don’t share it on the web. Not in a private group, not on Snapchat, not in email. Rather than trying to make these decisions on the fly, decide in advance what kinds of material you will — and won’t — share. There’s no one set of rules that will suit everyone — it’s really about your own comfort zone. But it may clarify your thinking to ask yourself how you’ll feel if your mom, your boss, and a professional identity thief can see a particular type of content you’re sharing. Because chances are, eventually, all three of them will. You may not feel particularly social about social media … maybe you’re there to promote a business or product. Nothing wrong with that, if you handle it well. A stream of pitches gets obnoxious fast. Trust me, your friends don’t want to buy your essential oils, nutrition shakes, skincare, or whatever the latest thing is. And they desperately wish you would stop trying to push it onto them. Quit trying to spam your friends (it isn’t working), and start acting like a business. Promote content at least 10 times as often as you promote a product. “Content” is the stuff that most people are on the social web to look at and share — useful and interesting images, videos, articles, and audio. Social media is an amazing way to get business-oriented content shared — either for free or for a very moderate cost. You can focus on organic reach, paid advertising, or a mix, depending on the platform and your resources. Remember that four-million strong group I mentioned on Facebook? It’s got great energy … and it’s almost completely unmanageable. The large common spaces on the web can be fascinating, but they’re also exhausting. For a greater sense of community, more useable information, and better connections, look for smaller groups. Groups that are too small will run out of steam — there’s definitely a point of critical mass. But smallish online groups can be nurturing, delightful little communities. If there isn’t a group like that in your topic — maybe you’re the right person to start one. It will be a lot of work (and you’ll probably have to manage a few ant-shakers), but it can also be wonderfully rewarding. Here’s the great, big, gigantic problem with social media — it will eat every minute of your life if you let it. There’s always another great conversation. And there’s always another opportunity to explain to someone how wrong they are. I’ve taken a tip from Cal Newport and I schedule my social media time. And because I have no self-control (and I prefer to use what I do have on other things), I use an app to manage that. There are quite a few of these out there that will block certain sites at certain times, so you can be a productive member of human society. I’m partial to Freedom — it’s a paid app, but it has a flexibility I find highly useful. This seems like it would be obvious, but we all blow it from time to time. Don’t say ugly things you don’t mean. Don’t say ugly things you do mean. Your extensive collection of racist knock-knock jokes isn’t funny. Never was, isn’t now. Condescension and the attitude that you are entitled to other people’s time are as unpopular on the web as they are in real life. Good manners are free, and they can open amazing doors … especially as they become rarer. I’ve been online so long, I can remember when virtual community was going to save the world. Now we know better. Over the years, I’ve realized that no one has to be on social media. Even social media managers could presumably find a different way to make a living. If it’s diminishing your life, you can change how you use it. You can also decide to go without it. Sometimes I need to implement what I call the FFS rule. When I find myself muttering, “Oh FFS” (Google it if you need to), it’s time to log off. People are irritating, and some of them are mean. Those people consistently get meaner and more irritating on the web. Block and report trolls. Remember that you don’t have to reply to everything. Dan Kennedy, of all people, had some rather good advice about this years ago. He wasn’t talking about social media, but he could have been. Pretty savvy social media advice from a guy who refuses to use email. Because it turns out, what tends to work well in social media … is what works well in real life. I really liked that termed “ant shakers” for the ones whose sole aim of using social media is creating chaos and disturbing the pleasant atmosphere of the country, community and bringing in some trouble fro others. That description was awesome and how come you have been using social media since 1989? Because I am very, very old. 🙂 I got started on The WELL in 1989 — it was one of the very early digital communities, and a great (but cranky and flame-prone) place to hang out. Woww!! No where i could have get to learn so much through a comment. Serious thanks for the information. Just yesterday I met and had a normal conversation with someone who was born in 2001. Nice article but you were on social media in 1989? Really? Love to know what sites you had accounts with and I wouldn’t count CompuServe or UseNet. The first recognisable social media site, Six Degrees, was created in 1997. It enabled users to upload a profile and make friends with other users. In 1999, the first blogging sites became popular. The label was different back then, we called them virtual communities, but I assure you, the behavior was roughly 95% identical to what you see today on Facebook or other social sites, minus quite as much fake news. The WELL was my primary hangout, but I also spent tons of time on GEnie. And I worked for a social site called 101 Online, which was an attempt to bring the French Minitel to the U.S.
Not counting CompuServe or Usenet would be pretty silly, imo. Or the early BBSes. Not to mention AOL, which launched in 91, and where I had an account but never particularly took to it. These are, of course, the kinds of distinctions that people like to get into arguments about on the internet. Another great read Sonia, thanks so much for sharing. 300 baud, but fortunately the floppy disk had undeniably replaced the tape drive by then. I saw War Games at the theater with some buddies who said, “No way NORAD would use a 300-baud modem.” Geek out! We’ve upgraded the hardware and the software since then, but not the user. Thanks for distilling this wisdom down to the essential elements. I’ve been on the same road as you for about the same amount time (The Well Back in the day) and if I could be inspired enough, I would have said the same things but not as well. I wish there were drivers licenses on the Information Superhighway. If there were, this should be printed on the back. Sonia, I did some lurking on the Well way back when (though I couldn’t get my posts to post with that damn quill pen). I know there’s a copy of Stewart Brand’s Whole Earth Catalog somewhere in my house. And yeah, 300 baud—I remember using MCI Mail and thinking classroom notes might be better. Legit lol on the quill pen thing. These youngsters today do not realize. I’ve been using social media 10 years, and now I feel like it is a hard day without checking any updates on them. The benefit I could see is – it looks easier to engage with prospective customers. Out of it, I frequently feel overwhelming when people share their unimportant status and tag me on it: totally annoying! It is very important to not to mix personal profile with your business page.Although it depends on the type of business you are doing. But still its good to have a specific goal oriented Business page. This one can go the other way around as well. I’ve seen people using their business social media accounts to post personal messages. That one is always interesting, because a human voice can be extremely useful on a business page, especially for a small, founder-driven business. But there’s definitely that line beyond which the personal stuff gets to be too much. Tricky, sometimes. 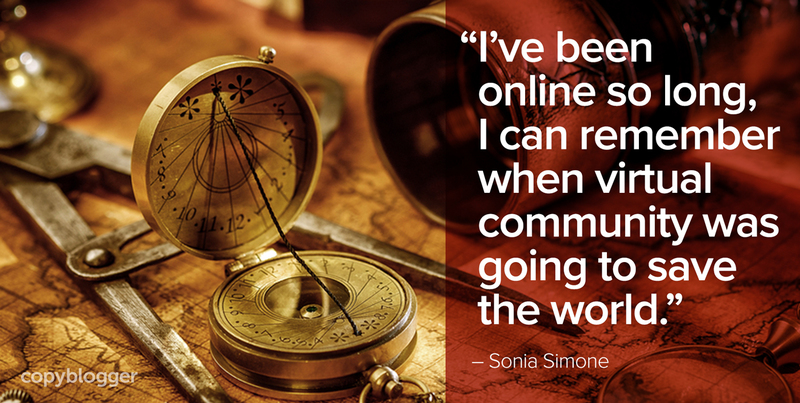 Great article Sonia and I agree about the fine line between business and social. Its great to encourage businesses to post behind-the-scenes type content but not surprising that some business owners then get confused about what’s ok and what isn’t. One thing I see a lot is having a LinkedIn photo of a couple, a logo, so distant you can see a face or no photo at all. People want to connect with other people. The other thing is posting quizzes (or cat videos!) on LinkedIn that aren’t related to your business in any way. Its about recognising what each platform is for and respecting what other users are there to do. A social web presence for any business in this day and age is paramount to the future success of any business. My current problem I’m sure like many others is the procrastination and amount of time wasted just by looking through the myriad of social accounts. I like your points on acting like a business and not pushing your content onto your personal friends. I’ve found many just don’t care and you need to access a specific niche of people to gain traction. Minding your manners can sometimes be testing, you always get a know-it-all, who when given an explanation to an issue seems to thrive on conflict and taking it to the next level. Useful tips for managing our social presence. Ant shakers are so true. There is always someone who divides the community. Thanks for the article. Got to know things that i never knew. I like the term “ant shakers”. Great post Sonia! I agree there are “ant-shakers” who enjoy creating chaos on social media. And they will never realize the impact of their actions to other people. Great post Sonia! I agree there are “ant-shakers” who enjoy creating chaos on social media. Thanks for this article. I’m going to print it out and post above my desk. Really enjoyed it. LOL..Thanks Sonia, a colleague shared this post with me and I love the “Ant Shakers” analogy, you should trade mark it and make it the next viral online saying! I totally agree with the smaller group statement. The more focused you can keep a group while maintaining that critical mass, leads to better comments and more constructive input…while keeping out the “Ant Shakers”! Great article! Thank you – totally agree with all the points you’ve mentioned! There are a couple of things that have really resonated with me. Firstly, in regards to ant-shakers, when you mention that “the pain and anger they cause are real emotions attached to real people”. I think it can sometimes be forgotten, because we are not face to face, that when people communicate online, or even when we talk about our own ‘traffic’, we are talking to real complex human beings instead of numbers, or a username. How we hold ourselves in the offline world should share the same principals online. I’ve also checked out Freedom, and it is really interesting isn’t it?! What an awesome idea. Something I find works for me is scheduling my posts/tweets through Buffer. I find it goes a long way at ensuring I remain focused solely on what I need to do for that social media platform, as opposed to getting distracted. Putting time aside, once scheduled, to engage, like/re-tweet etc seems more productive and purposeful that way. Thanks again for the article Sonia!